The news about the prevalence of high rates of Post Traumatic Stress Disorder (PTSD) among tribesman is very alarming and once again it’s bringing the issue of humanitarian costs of conflict to lime light. Recently an article in national English daily of Pakistan reported that more than 40% of the FATA population is suffering from PTSD. For some local observers, this figure is not truly reflecting the state of mental disease in the conflict zones, the situation is far worse than that. There is a need for analyzing humanitarian and political aspects of conflict in general and military operations in particular. No doubt in the results of operation, militancy has suffered significant losses and there is tangible decrease in terrorist activities all over the country. The bases and command and control structure of many terrorist outfits have been destroyed. Unfortunately, both the non-state and state actors are equally responsible for the miseries of the people living in conflict zones. For more than ten years, the tribal areas witnessed more than 10 big operations for countering militancy. Military actions are still continuing in one or other form. Under the Rad ul Fasad operation, a major campaign is underway against militants in Rajgal Valley, Khyber Agency. War science experts can better comment on and judge the military aspect of these operations but as far as it’s socio-economic, political costs are concerned the situation is very dismal and disappointing. But indiscriminate shelling instead of intelligence-based targeted actions, use of disproportionate force and massive displacement are some of the questions need to be answered by the experts. As far as its humanitarian aspects are concerned, millions of people were displaced in FATA in the wake of the military operation. Main factors of the IDPs in Pakistan are militancy, fighting between non-state actors and security forces, sectarian violence and human rights violations. But military operations or fighting between militants and security forces is the major cause of internal displacement since 2004. 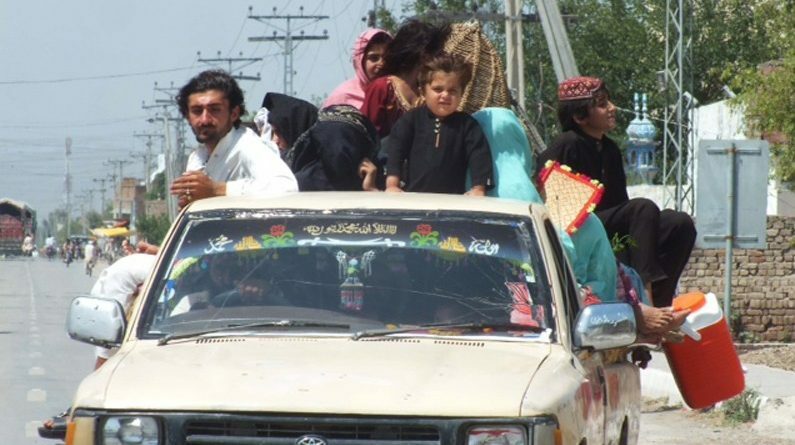 The return of IDPs in some conflict-hit areas is not yet completed. More than 40% of the population of FATA experienced some kind of displacement and even some of the IDPs experienced 4-5 times displacement. Internal displacement is one of the major issues, the country is faced with. Military actions caused wide displacement in FATA. But South and North Waziristan agency comparatively witnessed larger scale displacement. The SWA IDPs return process was very slow. According to latest OCHA weekly update on FATA IDPs for July 22-29, 2017, total return rate is 85%. The IDPs return to SWA is very slow. Overall 66%, of the IDPs from Orakzai, 77% from Kurram and 82% from NWA so far returned. Still some 44305 families including 18766 from SWA are still waiting for rerun. The UN Guiding Principles on Internal Displacement is broader framework for the protection of rights of Internally Displaced Persons (IDPs) but in Pakistan it never get due consideration. 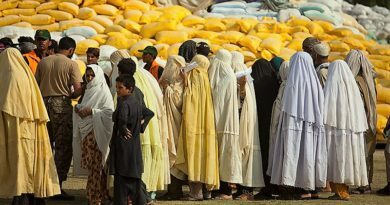 For years the IDPs status of many displaced persons from conflict – hit areas particularly from South Waziristan and Kurram Agency was not officially recognized. Due to the complex nature of conflict in FATA, the serious issue of human rights violations is rarely made headlines in national media and publically debated upon. We can find some glimpses of gross human rights violation in social media. The military operations in FATA and particularly North Waziristan have two aspects- internal as well as external. There was internal and external pressure for operation in Waziristan and even Pakistan’s all-weather friend China also exerted pressure for operation due to the alleged existence of some Chinese militants in border areas. No doubt, to great extent Zarb e Azb resulted in overcoming internal challenges. There is record decrease in militancy and militancy-linked crimes such as kidnapping for ransom and robbery. But the militancy-related concerns of regional actors are still intact. Despite operation Zarb e Azb and now Rad ul Fasad, the external pressure is still there for more concrete actions against militancy and insistence on “Do More”. The social infrastructure is also badly affected. According to a report presented to National Assembly in December 16, 2015 some 166 schools in NWA, 139 in Khyber Agency and 55 in South Waziristan Agency were destroyed by militants. Overall in economic terms the country suffered a lot because of the conflict. 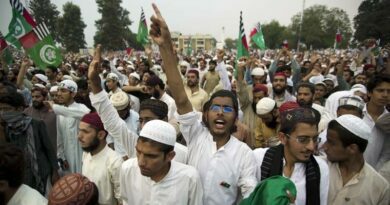 According to the State Bank of Pakis annual report released in November last year the extremist violence cost the country $118.3bn in direct and indirect losses from 2002 to 2016. As far as militancy is concerned, it decreased significantly. Extremism, the mother of all social evils i.e. religious violence is still deeply rooted and no viable and comprehensive social, cultural, education and economic policy is in place for countering it. The use of force is only dealing with some of its symptoms rather causes. There was enabling environment for anti-terrorism measures due to the growing public hatred and resentment against the terrorists particularly after the APS Peshawar terrorist attack in which some 140 school children were massacred by Taliban terrorists. The National Action Plan (NAP) was developed by the government of Pakistan but it has not yet been fully implemented due to a host of reasons. NAP was not fully utilized due to civil-military tension, appeasement policy of religious lobbies and the policy of Good and Bad Taliban. 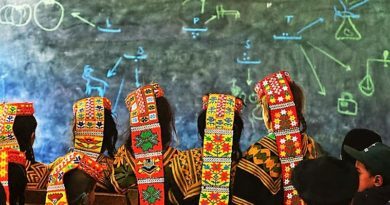 Why are Taliban Killing Kalash People?